Afghan Whigs and Twilight Singers frontman Greg Dulli recorded this version of Leonard Cohen's "Paper Thin Hotel" as part of Old Ideas with New Friends, a new series of Cohen covers by artists such as Deerhunter's Bradford Cox, Old 97s' Rhett Miller, Cold War Kids and the New Pornographers' A.C. Newman. "I wanted to do a version of this song because I think they might be my favorite set of Leonard Cohen lyrics," says Dulli. "I think they kind of explain and validate love all at the same time." October 25, 2011 - As countless can attest to, a live Twilight Singers show is truly an epic experience. For the first time ever, there will now be recorded proof. 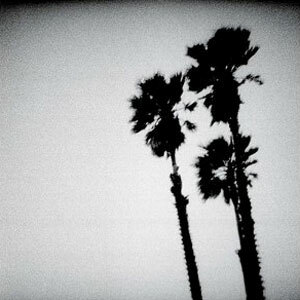 The Twilight Singers will release their first ever live album Live In New York on November 15th. Recorded at Webster Hall in New York City this past May, the show was easily one of the highlights from the band's world tour in support of their latest release Dynamite Steps. Live In New York features 21 songs from the band's entire career including: "Teenage Wristband," "I'm Ready," "Annie Mae," "On The Corner" and many others. Live In New York will be released digitally worldwide. However, a limited edition deluxe double CD will be made available directly thru the band's website beginning today: www.thetwilightsingers.com. This deluxe edition will feature the entire unedited New York performance and will only be available for purchase prior to November 15th. This CD will not be available in stores. Fans who purchase the deluxe CD edition will immediately receive a track: "Teenage Wristband" via email along with receiving the full album digitally on the street date. Petra Haden and Dave Catching (Eagles Of Death Metal, Queens Of The Stone Age) will join The Twilight Singers as special guests for their SOLD OUT show in San Francisco this Saturday evening, September 17th at the Great American Music Hall. The Twilight Singers will be performing their revered second album Blackberry Belle in its entirety followed by a full second set showcasing songs from their entire career. Haden and Catching will join the previously announced special guest: Mark Lanegan. Due to a recent personal injury, Apollonia Kotero who was scheduled to perform will not be in attendance. This show will be the final worldwide show in support of The Twilight Singers critically acclaimed new album Dynamite Steps (Sub Pop). SEATTLE, WA - The Twilight Singers show on September 17th in San Francisco at Great American Music Hall is now Sold Out. Thanks to all who purchased tickets. The band is looking forward to this special evening. World Café will be broadcasting a previously recorded set by The Twilight Singers on Thursday, August 25th, 2011. Update: The show is now available for streaming at NPR.org. 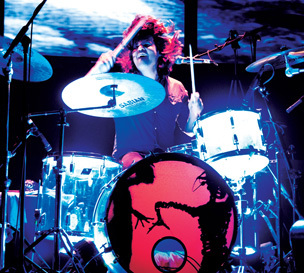 May 26, 2011 - SEATTLE, WA - The Twilight Singers will return to Europe this summer to perform at several major festivals including: Glastonbury, Pukkelpop, T In The Park, Open'er Festival and others. The band will also headline a select number of shows during this run, which will take place in: Nijmegen, Utrecht, Hamburg, Basel and Madrid. For the most up to date information on ticket sales for all upcoming shows visit: www.thetwilightsingers.com. A few other performances will be added to the summer run and announced in the coming weeks. The Twilight Singers upcoming tour is in support of the band's critically acclaimed new album Dynamite Steps (Sub Pop). Clearly the next chapter in an already long and stellar career for lead singer Greg Dulli, Dynamite Steps has been one of the best-reviewed albums of his lengthy career on both sides of the Atlantic. The Twilight Singers are in the home stretch of their final US tour in support of Dynamite Steps, which will conclude in New Orleans next week on June 3rd at the legendary Tipitina's. Since the late 1980's Greg Dulli has been a musical force to be reckoned with. Rising to fame as the magnetic leader of the Afghan Whigs during the 80's & 90's. When the Whigs split up at the end of the decade, Dulli followed his muse and began to innovatively fuse indie, soul and electronic sounds in his post-Whigs collective The Twilight Singers, who released their first album, Twilight As Played By The Twilight Singers, in 2000. Their beloved second album Blackberry Belle followed in 2003, followed by a covers album She Loves You in 2004. 2006's Powder Burns made many critics "Best Of" year end lists. In 2008 Sub Pop veterans Dulli and Mark Lanegan returned to the label as The Gutter Twins for their debut album Saturnalia. The Twilight Singers will take the Webster Hall stage tonight at 8:30 PM. Doors are at 6:30. Margot and the Nuclear So and So's on at 7:15.